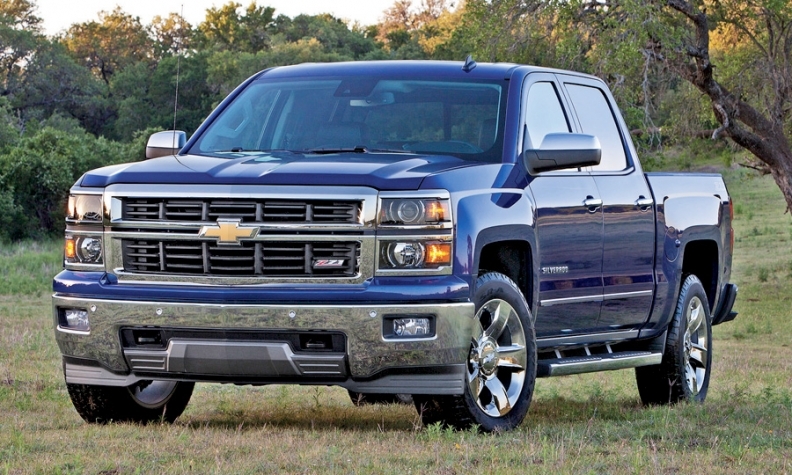 GM estimates it has delivered more than 40,000 Chevrolet Silverado, pictured, and GMC Sierra pickups for the 2014 model year to dealers. DETROIT (Reuters) -- General Motors is recalling 843 units of the 2014 Chevrolet Silverado and GMC Sierra crew cab pickup trucks because the passenger airbag may not fully inflate in a crash. There have not been any known injuries or crashes related to the malfunctioning airbags, GM said Friday. The automaker estimates it has delivered more than 40,000 of the trucks to dealers, GM spokesman Alan Adler said. GM will call truck owners to ensure the vehicles are repaired. Dealers will fix affected vehicles that haven't been delivered to customers yet. The redesigned 2014 Silverado and Sierra are the most important vehicle introductions for GM since its 2009 bankruptcy reorganization. GM's current big trucks and related SUVs, which generate more than $12,000 per vehicle in profit, account for about 60 percent of the company's global earnings, according to analysts. Citi has estimated the new models could bring the automaker more than $1 billion in additional operating earnings in 2013 and 2014.